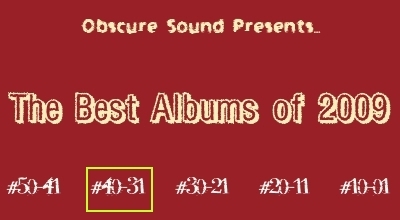 HAL were featured on Obscure Sound over five years ago. They were under-exposed then, and remain so now. That HAL have not released anything in seven years certainly didn’t help. Nonetheless, I listened to their eponymous debut very often for several years without tiring of it. Its swirling mixture of Beach Boys-inspired west-coast pop and twangy country-rock projected a crisp form of pop with a bevy of infectious hooks, both in the vein of Brian Wilson-inspired interwoven vocal harmonies and dizzying instrumental theatrics. Maybe it was their west-coast pop hitting my sweet spot, or how the Allen brothers’ vocals mirror the ardent falsetto on The Beach Boys’ “ Be Here in the Mornin’”. That song was on The Beach Boys’ fourteenth album, Friends, and any fan of that album or The Beach Boys in general will fall immediately in love with HAL. I’m in that niche, obviously. On Friends, the exuberantly majestic self-titled song, the cool-headed psychedelia of “Passing By”, and the suavely soulful “Little Bird” established it among The Beach Boys’ more relaxed releases, even if it also marked one of their most stylistically ambitious. Its enduring appeal can be attributed to cohesive stylistic adjustment; R&B, bossa nova, country-pop, and – thanks to Dennis Wilson – some great alternate take on psych-rock were driving forces, and all were incorporated with a smooth precision that only a producer like Brian Wilson could handle. The Beach Boys already proved such diversity before with Smiley Smile and Wild Honey (the latter being another accurate comparison to HAL’s sound), but it was still an enjoyable development. Although Friends, is not regarded with as much reverence as Wild Honey by some, it made its mark in most clearly exemplifying The Beach Boys’ underrated grasp of many styles that extended beyond the traditional west-coast pop that commercial audiences are familiar with. Although HAL remain indebted to early rock much like The Beach Boys (and obviously the west-coast pop they engineered), they achieved something similar with HAL that Wilson did with Friends. HAL masterfully took elements of power-pop, country, and classic-rock and embedded it within a style they could call their own (for the most part). Beach Boys tributes tend to be derivative and dull, but when you put such a powerful influence in the hands of talented pop songwriters like the Allen brothers, they do not repeat ideas. If that were the case, Beach Boys fans would regard their songs as poor cover versions. Instead, HAL are more focused on Brian Wilson’s production methods than his songs. The multi-tracked harmonizing, orchestral tendencies, and glistening melodies are entirely their own. HAL sounds like a bunch of excellent original songs produced by Brian Wilson, not written by him. Did I mention that this was HAL’s debut? I apologize if the Beach Boys comparisons are tiring by now, but (like The Explorers Club) HAL are a very rare breed. They fully capture a nostalgically successful genre without replicating it, which for west-coast pop this is a very admirable feat. Over the past year or so I somewhat neglected HAL. Regardless of how great an album is, if the band goes a long time without material of any sort then listeners initiate a defense mechanism of sorts. They shun away from the album, simply to prevent over-exposure to it. Whether it is a relationship or form of art, no one wants the initial luster to fade. This is what I did, somewhat unintentionally, but like all great albums I came back to it. Upon revisiting HAL, it established itself like any great album; re-discovery prompted new discoveries. Songs I somewhat dismissed previously – the Smile-inspired “My Eyes are Sore” and the catchy southern-rock ballad “Coming Right Over” – now started clicking. Old favorites like “I Sat Down” and “Worry About the Wind” sounded even better. And thus it was established: HAL is not the usual album that one forgets about, forever in their music vocabulary but rarely repeated for enjoyment. It is more important than that. 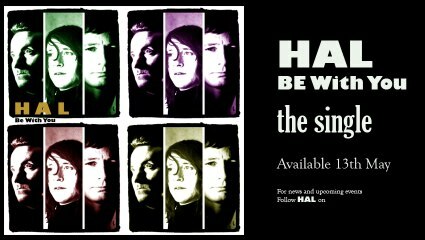 Coincidentally, just as I was re-discovering their excellent debut, HAL announced for the first time in nearly one half-dozen years that they are releasing new material. Their new single “Be With You” will be available May 13th, and their long-awaited sophomore album The Time, The Hour will follow shortly thereafter. The band was generous enough to post most of their newly released songs on Soundcloud, so check them out below. Posting even one track from their debut album is unfortunately forbidden. 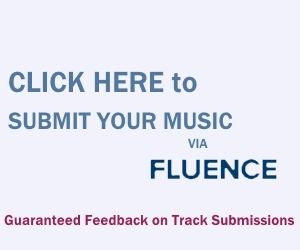 I have no permission to post them, but I’m sure you can figure out how to obtain key tracks “Worry About the Wind”, “My Eyes are Sore”, and “I Sat Down”. Either way, HAL’s new tracks sound good and their upcoming album, The Time, The Hour, is certainly a dark horse for being one of the best pop albums of 2011. HAL was up there with the best in 2005, and considering that their new tracks are nearly as good I doubt their second album will falter. Fantastic article! I still listen to their debut quite often, one of the best and most under-appreciated albums of the 00’s. I can’t describe how excited I am for this new album.